It’s all in the name: we match bands from different countries then they ‘fuse’ (play) together to create new works. Run by a genuine network of supportive producers (see below), we commission collaborations and are building a reputation for events in imaginative contexts. Bands get the chance to play outside their homeland, and audiences the event to see the most exciting instrumental and vocal music from the European underground. You may not have heard all the artists we programme but you’ll always have a great time. We’ve taken risks and injected energy into our belief that the creative and personal exchange amongst Europeans strengthens our ideas and gives us different viewpoints. Music is a connecting force and that’s been reflected in the demand from both audiences and bands, pushing M&F’s growth since starting out in 2011. We’ve had festivals in Norway, Italy, Poland, France and the UK, with plans for further countries to follow. Dave Morecroft is the founder of Match&Fuse and being both a musician and promoter, he understands the needs of both. His band, WorldService Project have helped him establish the M&F initiative along with Daniela Gerstmann and Debra Richards who are part of the team. M&F UK runs regular tours, has been involved in all the European events and holds an annual London festival. ‘Match&Fuse Presents’, a branded event taking innovative artists into established festivals such as the EFG London Jazz Festival, was recently developed as a way of giving audiences a taster of the scenes M&F promotes. Committed to this music and nurturing potential, M&F UK runs workshops in schools and professional seminars with industry figures. It commissions new works and curates unique collaborations between artists from different countries, so encouraging new musical ideas, networks and futures. 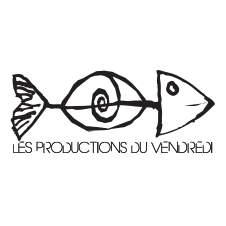 Les Productions du Vendredi is a renowned booking agency promoting jazz, songwriting and world music from France. Producing 130 concerts a year, they also promote artists including Pulcinella, Eric Lareine, Hildegard Lernt Fliegen and Andreas Schaerer, Alfie Ryner, Imbert Imbert, La Danse du Chien and WSP. Matthieu Cardon, Clara Mouchès and Brendan Rogel also run the Match&Fuse Toulouse festivals and the tours partnering bands from different countries. They run educational projects encouraging and supporting potential talent within the local community and providing opportunities to learn more about playing the music they promote. 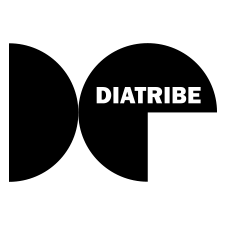 Diatribe is Ireland’s leading record label for new sounds. Since its formation in 2007 it has produced a series of critically acclaimed recordings from artists working across a diverse spectrum of genres, all under the umbrella term of contemporary music. Label co-director Matthew Jacobson and his band ReDeviDeR are other crucial members of Match&Fuse. A Brussels based agency working with Belgian artists whose artistic universe can’t be captured in one genre. With a roster including bands such as LABtrio and Aka Moon, the focus is on jazz and beyond. Aubergine collaborates with various events in Belgium. The contact for Match&Fuse Belgium is Maaike Wuyts, alongside Stef Vonk and Lize Colson. Ayumi Kagitani Frei is the Swiss partner for Match&Fuse. Japanese-born and based in Switzerland for over twenty years, Ayumi’s music and art management company began in 2012. With a strong commitment to artists such as Tobias Preisig, Andreas Schaerer and Elina Duni, she’s been key in developing careers and creating Asian touring opportunities. 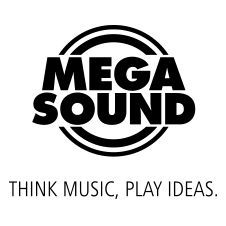 Associazione Culturale Megasound began in 2008 to promote creativity and broaden social and artistic development by producing live events, making and distributing music, audio, video and multimedia content using innovative technology. Megasound has organized over 500 events in Europe, Scandinavia, and the United States. A key focus is on charitable events that enable culture to reach all corners of the community. One notable example is ‘La Notte Bianca’ nelle Carceri with performances for people in prisons. Davide Cardea is the contact for Match&Fuse Italy. Both non-governmental organisations, these two groups have produced a number of concerts in important Polish venues as well as some of the most successful Varsovian, interdisciplinary festivals of recent years – Street Art, Doping, TrzeciE Ucho Lado w Miecie, Playback Play, Street Art Common Experience. Activities contributing to Match&Fuse are co-ordinated by Piotr Cichocki including the 3-day festival in Warsaw in June 2015. Eirik Tofte (1988 – 2013) founded and managed Va Fongool record label and Tofte Management in Norway, working with many of Norway’s freshest bands in the worlds of improv, noise, jazzcore and progressive music. As Norwegian M&F co-producer, Eirik produced 5 tours across Norway and the Match&Fuse Oslo festival in 2013. Va Fongool continues this work with award winning international ensembles such as Lana trio, Wolfram trio, Ich Bin Nintendo and Mummu. The Eirik Tofte Match&Fuse Orchestra is dedicated to his work and passion for the music M&F promotes.